Garmin products make great gifts! We are proud to introduce the latest and greatest from the Garmin family - the Forerunner 920 and the VivoSmart Activity Tracker. Garmin has really stepped up their game with these new devices. If you are thinking of purchasing either of these new products or any of our other GPS watches like the 220 or 620, come get all of your questions answered by our Garmin Guru, Gary. Join us on Wednesday, December 17th at 6:30pm for Garmin Night. Take your triathlon training to the next level with this exclusive GPS watch. From the company that launched the world’s first GPS multisport devices comes a watch that’s qualified to guide the training of elite and amateur athletes alike. Introducing Forerunner 920XT — with advanced features including running dynamics, VO2 max estimate, live tracking and smart notifications. 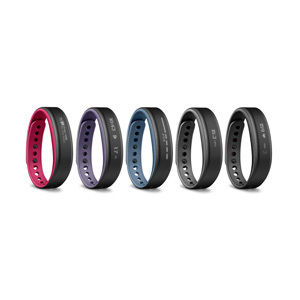 6:30pm: Meet the 920 and VivoSmart. Info session followed by a Q&A and a 10% OFF our entire stock of Garmin watches. Space is limited to the first 20 people! RVSP today!